Nuclear deterrence requires satellites for early warning of missile launches and satellites for communications in a nuclear-disrupted environment. Yet, these satellites will face a window of vulnerability in the 2020s. At this 11th hour, the United States can still close the window, provided it can choose the right approach and act now. 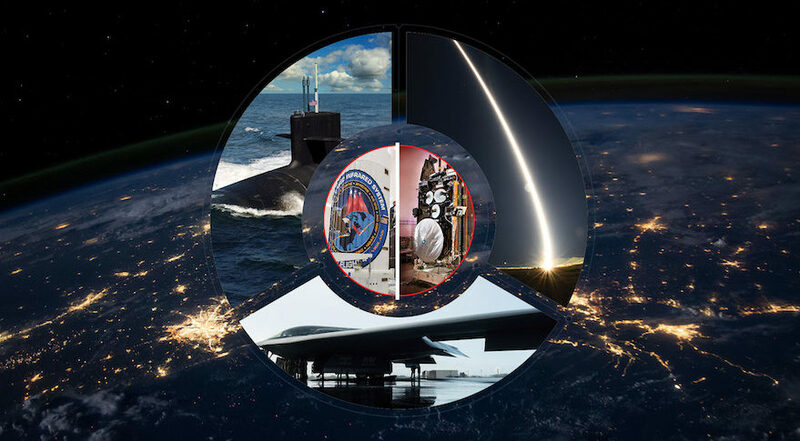 The report also concludes that the “most disturbing and profound [vulnerability] is the end of space as a sanctuary domain – space is likely to be a battleground, with space assets vulnerable to attack.” That confirms what U.S. Air Force Secretary Heather Wilson said at the Mitchell Institute in February 2018: large satellites like the Space Based Infrared System (SBIRS) are vulnerable to electronic and kinetic attacks. SBIRS satellites provide detection and early warning of nuclear and conventional missile launches. The Air Force’s Advanced Extremely High Frequency (AEHF) satellites are also critical to NC3, because they are used for communications in a nuclear-disrupted environment. Both the SBIRS and AEHF satellites are vulnerable to kinetic attacks, because they are very expensive (about $1.7 billion each), large (the size of a school bus), and few in number (each constellation consists of six satellites). A more resilient SBIRS follow-on is planned for 2029 while an AEHF follow-on is expected in the early 2030s. This means that for nuclear deterrence, these two vulnerable constellations must be protected through at least the decade ahead. China successfully tested its ground-based direct-ascent anti-satellite (ASAT) missile in 2007. In May 2013, it also launched a longer-range missile simulating an ASAT flight profile all the way to near geosynchronous (GEO) orbits. The combination of these events has caused the United States the most concern, because many of its critical satellites, including SBIRS and AEHF, are located at GEO orbits. By the early 2020s, the United States will face another kinetic threat, which is particularly suitable for disabling the legacy GEO satellites including SBIRS and AEHF at the opening of a space war. This threat comes from “peaceful” space robotic spacecraft, which will soon be deployed by China, Russia, the United States and the European Union. Since these robotic spacecraft are needed to perform valuable peaceful services such as removing excess space debris and refueling, repairing or upgrading satellites already in orbit, robotic spacecraft should not be banned. On the other hand, since an adversary can readily re-task its robotic spacecraft already in space to grab and disable functioning U.S. satellites, the United States must protect them. The Mitchell/MITRE report, as well as many others before them, suggests four “possible lines of effort to mitigate adversary counterspace capabilities.” However, as far as protecting SBIRS, AEHF, and other similarly vulnerable satellites during the 2020s is concerned, any line or even all four lines, of effort would be far from adequate. Diplomacy. Without a military strategy to physically protect these vulnerable satellites, the U.S. attempts to use diplomacy for protection would fail, because the United States and its adversaries have some irreconcilable national interests and strategies. Besides, the current political environment makes this approach unlikely to succeed before these kinetic threats arrive in the early 2020s. Dispersion of space assets. Yes, this is the approach being used to make the follow-ons to the vulnerable legacy satellites more resilient. Unfortunately, in the case of both SBIRS and AEHF satellites, dispersion even under the contemplated accelerated schedule will not be fully operational for most or all of the 2020s. Rapid space reconstitution capabilities. For SBIRS, AEHF, and many other legacy constellations the military will still rely on through the 2020s, rapid reconstitution is simply too expensive or still far too slow to replace the disabled satellites. Suppression of adversary counterspace capabilities. The Mitchell/MITRE report suggested that “the DoD should formulate operational concepts to attack adversary counterspace assets such as launch facilities, space command and control nodes, ground-based anti-satellite laser facilities, and other related infrastructure.” These targets would be deep inside Russia or China. Attacking them would represent a serious escalation of a space conflict and should be reserved as the last resort. Rather than these four “lines of effort,” the U.S. should instead protect its critical NC3 satellites by deploying bodyguard satellites, which would operate near the satellites they are protecting. These bodyguards would have a range and lethality like those of an adversary’s “peaceful” attacking robotic spacecraft in order to generate a proportional response and minimize escalation during a crisis or conflict. On the other hand, U.S. research and development for improved or more advanced defensive weapons should be ongoing. Under this proportional response, if adversaries stop escalating the potency of their ASAT weapons, the United States will not need to improve the capability of its defensive weapons that might also have some ASAT capability. Thus, bodyguards are aimed at protecting U.S. satellites while minimizing a space arms race. Moreover, not only can these bodyguard spacecraft block an adversary’s robotic spacecraft from reaching and hurting U.S. satellites, they can also use passive or reversible defenses that do not even harm these threatening invaders. As a last resort, should irreversible defenses that can permanently disable invaders prove necessary, these robotic bodyguards can still employ nondestructive tactics — such as bending antennas — that would not generate much space debris. Better yet, these bodyguards can also protect vulnerable satellites against the approaching ground-based direct-ascent ASAT missiles by releasing decoys to confuse them, jamming their command, control and communications links or blinding their sensors. Finally, if the completion of any resilient follow-on constellation is delayed or the follow-on satellites underperform or new threats appear resulting in new vulnerabilities, then the United States will be glad to have satellite bodyguards to provide an additional layer of defense. Using bodyguards is a practical application of the review’s approach to protecting SBIRS, AEHF and other vulnerable satellites, especially during the 2020s while their resilient follow-ons are still unavailable.